We do impacted ear wax removal at our six clinics in London and Hertfordshire. This process is performed by one of our highly trained Audiologists or our specially trained Medical Nurses using a process called Microsuction. Our staff will be pleased to receive your enquiry or book you in for an appointment at a time which is convenient to you. If you have impacted earwax it can be very painful, reduce your hearing, even cause you to loose your hearing in one or even both your ears, so our speedy and pain free earwax removal should be your first step in taking care of your ear health. At least take the time to check out your hearing to find out if impacted earwax is the cause of your hearing loss. treated gently and with great accuracy as we examine them to determine the exact location of rogue earwax. 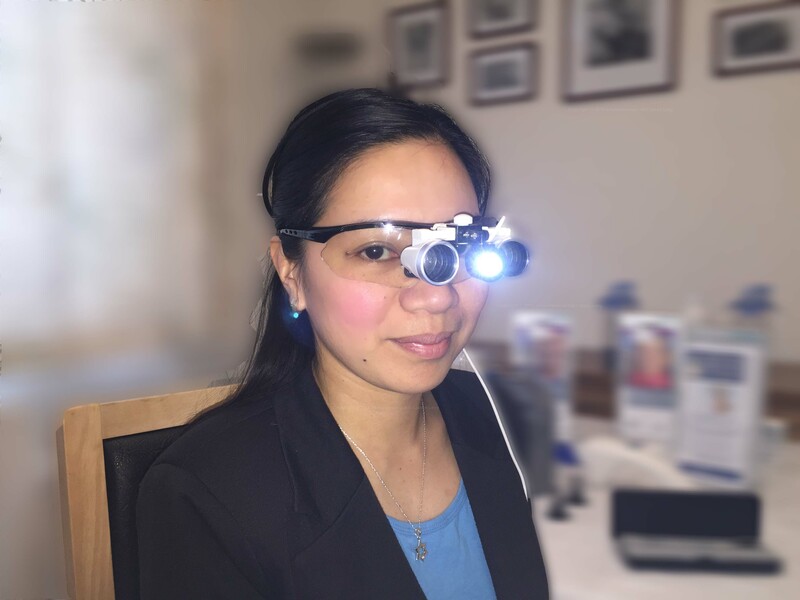 We use operating microscopes that can either be large floor standing units, or can be incorporated into glasses (known as operating loupes) to discover your earwax location within the ear. 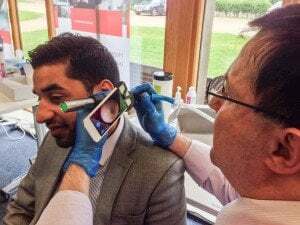 Once we have located the exact position of the earwax, we then use a medical suction pump that is attached to a tube and a 2 millimetre suction wand which is used to suction the wax from your ear. For clearing a blocked ear, clearing ear wax, reducing or removing pain from your ears, we believe that this is the quickest and safest method for removing impacted ear wax. Microsuction should only be performed by someone with a good knowledge of the anatomy of the ear and who has been trained in how to use the equipment safely to ensure a speedy and pain free treatment. That is why we ensure that our Audiologists and Specialist Nurses have had further training in the process. We do not spray water into the ear so our process is safe to use even after ear surgery or when the eardrum has been damaged or perforated. The Microsuction Practitioner uses a powerful operating microscope and a bright light source, so he or she can see exactly what is happening inside your ear, so the procedure is the safest of all. 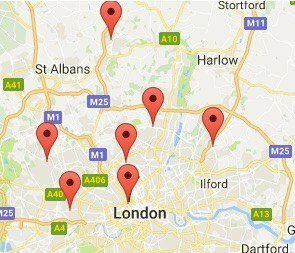 We have a limited number of early morning and evening micro suction appointments at our Baker Street, Welwyn Garden City and East Finchley clinics, as well as our normal practice hours. Alternatively, if you would prefer to book your appointment over the telephone, (however there will be an additional booking free of £5) you can call our office on 0800 1 337 987.